So you’ve found the perfect new Dodge, Jeep, RAM or Chrysler car and now you’re wondering what’s next? 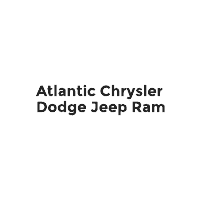 Let the experts at Atlantic Chrysler Dodge Jeep Ram walking you through the finance process. Our knowledgeable team members will find the car loan or car lease option that best fits your budget. We are committed to making sure you know exactly what you’re getting into and making the process as easy and comfortable as possible. That means no pressure! We can even help you with your purchase on a used car. Ready to apply and learn more? You can begin today by using our online car application form. Or if you would like to speak with someone face-to-face, just stop by our West Islip, NY dealership! And, don’t forget to check out our new vehicle incentives for the chance to save on your next purchase. We look forward to serving you!